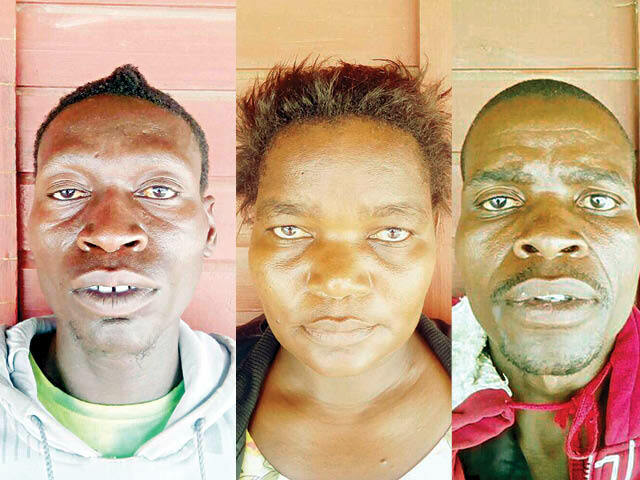 The trio arrested at the weekend, three months after the murder, was remanded in custody to February 15 and advised to apply for bail at the High Court. It is the state case that Mahlamvana was Chinyoka’s girlfriend until sometime last November when their relationship turned sour. The now deceased entered Mahlamvana’s house and after a few minutes, Zhou and Shoko followed and found him sleeping on the floor. Mr Chinyoka was allegedly blind folded by Shoko while Zhou assaulted him all over the body with a log until he became unconscious. The two men carried him outside and when they discovered that he had died, Mahlamvana, Zhou and Shoko then allegedly hatched a plan to dispose the body. Mahlamvana allegedly provided a wheelbarrow and two litres of petrol. The trio took the body to Mpandashango Dam. They put the body in a nearby dry stream before pouring petrol on it and setting it on fire but only the deceased clothes and cellphone were burnt. Zhou and Shoko allegedly tied a big stone to Mr Chinyoka’s body before throwing it into the dam.